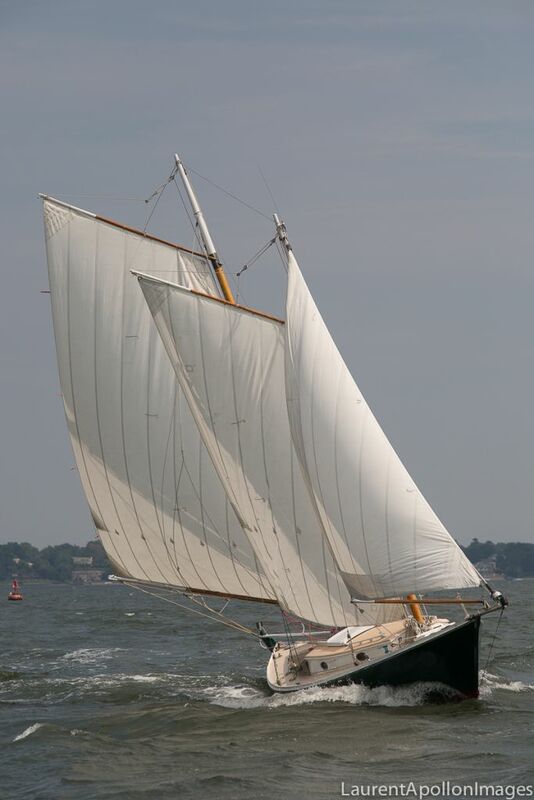 DragonFly (formerly Cygnus) was designed and built by the late Peter Van Dine in Annapolis, Maryland, 1978. 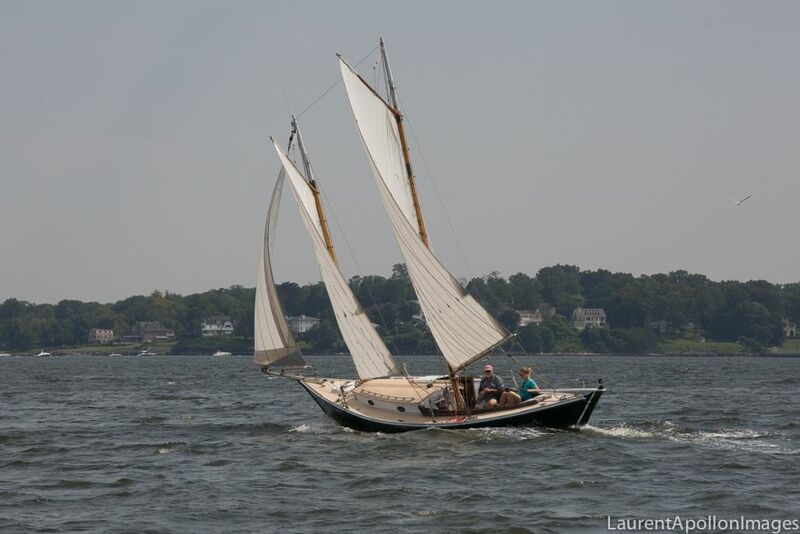 She is a real head-turner under sail or at the mooring, at just under 40-feet overall she is one of only three of the largest version of his line of “Tancook Whaler” schooners, based on a traditional Nova Scotia working boat. Listed at $20,000, she has been reduced to $15,750 for sales to or referred by ASA members. 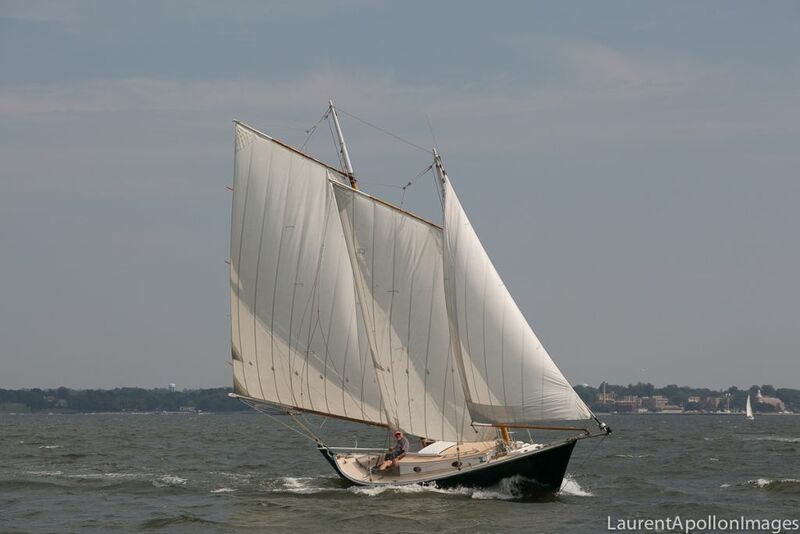 With a fine entry, long keel, and double-ended profile, she is stable and sea-kindly in any weather, well-ballasted internally while carrying a mere 3’9” draft with the board up, she is a pleasure to sail: a great Maine, Chesapeake Bay or Long Island Sound boat capable of going anywhere. DragonFly’s gaff main, secured by mast hoops, sets and furls smoothly with installed lazy jacks, which self-stow underway. Her loose-footed gaff foresail has been cut away slightly to eliminate a problematic wood club at the clew. Roller furling jib sets from the bowsprit, and self-tacks by means of a club and double-ended sheet. Only the foresail needs to be handled to tack. Reefing points in both main and foresail with roller furling jib enable her canvas to be reduced to handle almost any weather comfortably. There is not a single winch on board DragonFly, yet this 40-foot schooner can be single-handed in most conditions. Roller furling is the only concession to modernity in the rig. Every line on the boat trims by hand with simple mechanical advantages, mostly to belaying pins or wooden cleats. Every working line -- with the exception of one halyard, which could easily be re-rigged, is accessible from the cockpit. DragonFly’s simple main cabin features two full-length settee bunks, galley area with a sink and large icebox, and an enclosed head. She has been yard maintained since 1998, and stored indoors or framed up under cover on the hard off-season since 1998.